Kevin Michael Richardson was born in Bronx, New York and at a young age started making up and recreating voices from his favorite TV shows. Many of his fans know of his work when they are watching an animated series and they hear his deep voice. Richardson is a classically trained actor. He first gained recognition as one of only eight U.S. high school students selected for the National Foundation for the Arts’ “Arts ’82” program, later he earned a scholarship to Syracuse University. Kevin is well-known by various voice works, mostly villainous. He lent his voice to based-upon video game film Mortal Kombat as Goro, he was also in Matrix Revolutions as Deus Ex Machina, and did a few voices for Transformers: Revenge of the Fallen. Other projects he has worked on have been The New Batman Adventures, Pokemon, Family Guy, and Lilo & Stitch. Art Eddy: I am a big fan of your work. Let’s first talk about your role as Shredder on the Nickelodeon series, Tales of the Teenage Mutant Ninja Turtles. How did you get to play the role of this character? 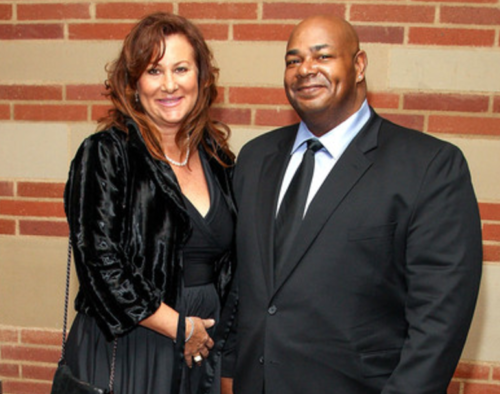 Kevin Michael Richardson: Sarah Noonan had asked me to audition for the role some years back. I remember she brought me and made sure that I knew that was taking place in New York. At first he sort of had a deep New York accent. Over time it sort of turned into a deeper delivery. AE: I remember growing up as a kid watching Teenage Mutant Ninja Turtles. Now as a dad I am sharing this new series with my daughters. When you are at conventions do you see dads bringing their kids to those conventions and sharing their love of Teenage Mutant Ninja Turtles with their kids? KMR: Yes! It is just beautiful man. Last convention I remember doing in New York I saw one gentleman dressed as the Shredder. I see these guys dressed up with their kids who are dressed up as turtles. It is very cool to watch because you see these kids, 4, 5 and 6 years old get introduced to this iconic show that has been around since back in the day. It is wonderful to watch because as they get older hopefully they will pass it on to their children. AE: What do your kids think of your work? AE: When you are recording a voice for a character do you prefer working with the other cast members or being alone in a booth? How is it for this series? Are you all together in the same room? KMR: We work as a cast, which is great because it is a lot more fun. Then it also depends on the scheduling because as you know each actor can be very busy. We might then record with just one other cast member or it could just be you recording alone. For the most part they usually have the entire cast inside the booth which is a lot of fun. 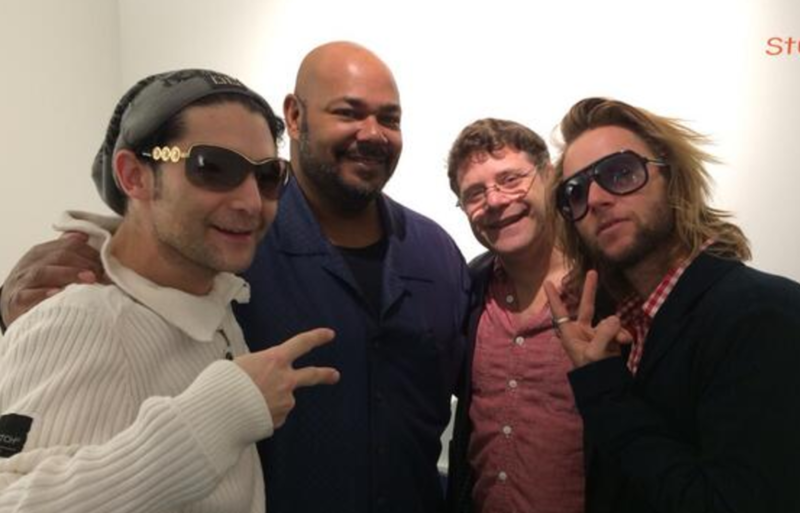 The energy is pretty electric because you are working with Seth Green, Sean Astin and Greg Cipes. It is just an electric and fun atmosphere to record. AE: At what age did you get into creating voices and when do you know that this could be a career for you? KMR: I was doing voices as a kid at the dinner table ever since I was five or six entertaining my family. I was the youngest of five. That was a little bit of a knack that I had. Even going so far as to taking my tape recorder and recording Spider-Man on television. During lunchbreak I would play the recording that I had and act out the scenes and do the voices at the same time the recording was going on. I had a circle of friends cheering and going nuts and loving it. So I guess I have always known that I wanted to do it. Having a career and doing it for a living was something that I never thought would ever happen. I studied theater at Syracuse. I knew that I had the acting bug. It was something that I wanted to do. When I moved out to L.A. in 1991 things started rolling. When I found out people could make a living doing voice over for animation I was like I want to do that. Some of the agents said it was a very tough circle to get into. That wasn’t the answer that I was looking for. I pursued basically the first thing that I was sent out to audition for I got. It was pretty much all she wrote from there. AE: What was the first few thoughts that popped into your mind when you found out that you were going to be a father for the first time? KMR: Well it was interesting because my kids are from my wife’s previous marriage. I have raised them since they were very young, like six and ten. So when I knew I was getting married I was like oh yeah I am going to be a dad. Before that happened we were dating and they were calling me dad. That was very powerful for me. I realized that I was stepping into a very large role. Looking back I would say it has been an honor. It is an honor to be their father. AE: What are some of the core values you look to instill into your kids as they grow up? KMR: To be kind. Be kind to people. Persistence, patience and faith. With those three things it is a powerful core for you to march forward, never quit and never give up. I tried to teach them the value of a dollar. Things just can’t be handed to them. They actually have to earn it and make a living. Basically just love. Unconditional love is one thing that I have tried to teach my boys. The love that I have gotten back, the reward is beyond measure. AE: What is the biggest piece of advice you would offer for new dads? KMR: Enjoy your kids. If I could sing the Cats in the Cradle song I would, but I am not. (Both laugh.) Just love and appreciate every single moment that you have with them. AE: Do you guys have a favorite family movie that you all love to watch together? KMR: Well my wife wasn’t too proud of this, but it was Animal House. We would occasionally watch the original Shaft with Richard Roundtree. They loved The Watchmen as well. The list goes on. It can go to classics like The Blues Brothers. AE: Do you guys have a favorite song that you all like to sing to or dance to as a family? KMR: We love going to Hawaii. We would go there practically every year. We would just chill and watch the kids have a great time on the beach. AE: The first voice you did that was your first paying job was…. KMR: Wow. Man let me see. I believe it was The New Pink Panther. I played Erik the Red. It was some Viking character. 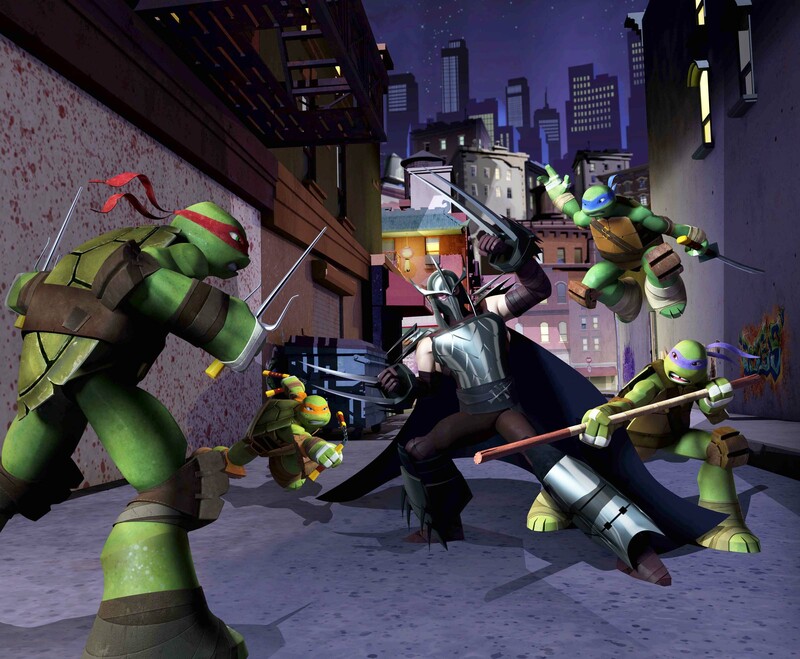 AE: Out of the four Teenage Mutant Ninja Turtles is there one of them you would like to voice? Follow Kevin on Twitter at @ClevelandJr and go to www.nick.com/ninja-turtles to find more information on the Tales of the Teenage Mutant Ninja Turtles series.